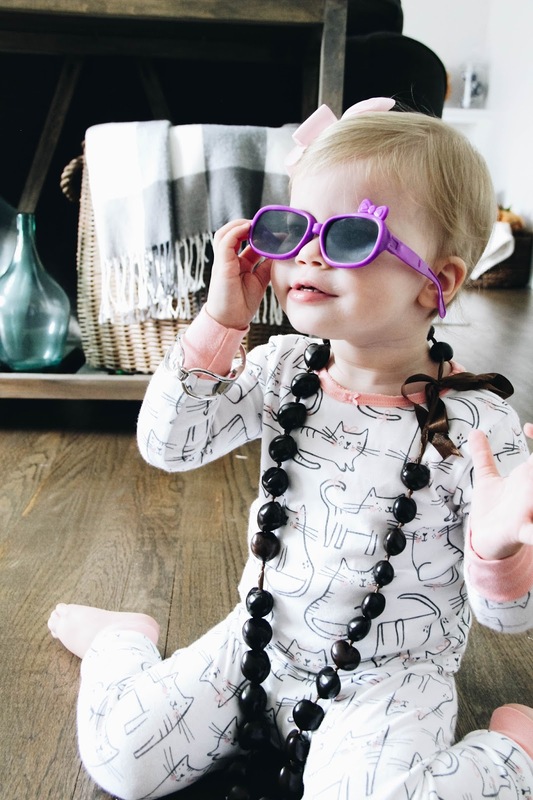 The transition from baby to toddler brings so much fun, and I am loving all the new things happening as she approaches her two's. Greer is saying all kinds of things and her big personality is shining right through. She's as vivacious and witty as she is sweet and loving. My girl is a joy and also a hoot. I don't know where she gets some of the stuff she says and does. While other times I know exactly where she gets it from...monkey see, monkey do, y'all (insert cringing and crying while laughing emojis here). Greer is a sponge and soaks everything in, even when we think she isn't. Honestly, I cannot get enough of her. And I really don't want to forget these things. So I'm starting a new series to document my girl's quirks and sayings and thoughts. Welcome to first post of Greer-isms! M: What's your baby's name? M: Well, what's your name? M: It's ham. Is it good? Anyone, anywhere sneezes (like in the store). M: **in a stern voice** Greer Arden Elizabeth! M: Who's the light of the world? G: Jesus Arden Ewisabef (Elizabeth) Hill! Whenever she sees the Starbucks symbol. I hope you laughed while reading as much as I did while typing. She's so much fun and a ball of energy and pizazz. We couldn't love her more if we tried! **Affiliate links were used within this post. Thanks as always for supporting this blog!